Greetings eSports fans from around the world, and across all genres! If you’ve been following the site, you’ll know that we wrote quite a bunch of articles about a diverse number of different games. But today our focus is different – we’re going to analyze and talk about the biggest eSports organizations, considering their impact as a whole on the market. We will delve into things such as a number of fans, representation across multiple games, number and quality of sponsors, and much more! Since the scenes are so different, I’m going to divide the article into 3 sections: Western, Chinese and South Korean teams, and talk a little bit about each one. Keep in mind that the organizations listed here aren’t in any particular ranking order – this would be a herculean task, as most of these don’t have professional players on the same games. EG is also known for getting great sponsorship deals with big companies – as of today, they’re backed by AMD, Twitch, Steelseries, Monster Energy, SanDisk and many other well established companies. That fact brings stability to the organization and enables them to provide a very good structure and salary to the professionals – which shows in their results across the many genres: EG racks up title after title everywhere they go. Cloud 9 is huge. They have players in basically every single game with an eSport scene. Dota 2, Call of Duty, League of Legends, Hearthstone, Overwatch, you name it. They even have sponsored guys on the most recent gaming trend, PlayerUnknown’s Battlegrounds. C9 is a North American organization and started out small, with a League of Legends team. When that squad managed to get into LCS (LoL’s biggest and most prestigious tournament), the team was bought up by Jack Etienne, who kept investing and expanding the crew into other games. They’re currently sponsored by some big companies, such as HTC, Twitch, iBuyPower, Logitech G, Red Bull, among others. The squad is very stable and is always expected to compete at the very top in every genre – and when the players don’t, they’re usually replaced with better or more promising ones. Moving on to another region, we have LGD Gaming from China as one of the biggest teams in the world. In contrast to the other two we have already talked about, LGD only has players in their Dota 2 and League of Legends division. The MOBA games competitive scene in China is extremely big, but other games that are huge in the western, like Counter Strike and Hearthstone, are not very big in the country. LGD is named after their main sponsor, Guizhou Laogandie Food. They’re also sponsored by Razer, Kingston HyperX, VPGame and others. A lot of money flows in the Chinese MOBA scene, with players being rumored to have very big salaries and even transaction fees if a crew wants to buy a guy from another one. LGD currently has two different Dota 2 squads, and they’re both competing and favorites to go deep in The International, the biggest eSport event of the year. A bit different from LGD, Invictus Gaming is a more well rounded crew: Despite the smaller scenes, they also sponsor squads in CS GO, Starcraft 2, Overwatch and Hearthstone – But the MOBAs are still their primary source of exposure and revenue. The organization was created by the son of the 10th richest man in China, so you can only imagine what kinds of the figure being thrown around. IG has the financial power to acquire the best and most promising talent they want – and they constantly look out for the opportunity to sign those players. In Dota 2, they even have two squads of professionals competing all over the world. Their teamhouse is located in Shanghai and the org doesn’t even have that many sponsors – they rely mostly on their owners’ wealth, which is more than enough (and more than any sponsor could ever pay them as well). Onto our last region for the article: South Korea. The country is considered by many the birth of eSports as we know it – with Starcraft: Brood War, almost 20 years ago. Electronic sports are in the countries culture, and players there are idolized and inspire many people. One of the powerhouses of the scene is SK Telecom T1, also known as SKT1. The team was founded in 2002 by the legendary Brood War player Boxer (Lim Yo-Hwan), and throughout its history sponsored a great number of extremely skilled users. Recently, however, the crew stopped sponsoring their Starcraft 1 and 2 squads, and the only division left is on League of Legends. SKT1’s is the most successful org in the world in League of Legends, one of the biggest eSports. They have Faker, widely regarded as the best player in LoL’s history, who is rumored to receive around $2.500.000 per year. That’s how big the team and the scene are – it’s completely mind boggling. We couldn’t finish this article without mentioning the other big guy in South Korea, SKT1’s biggest rivals dating back 20 years to their roots in Brood War (they had legends like YellOw and NaDa). Unfortunately, they have also dropped their Starcraft squads recently, as the scene dried up a bit in Korea – but they also sponsor a League of Legends team who competes in the highest tier of the Korean LCS (which is the hardest region in the world to compete in). They’re sponsored by KT, a telecom company (rivals of SKT even in this aspect! 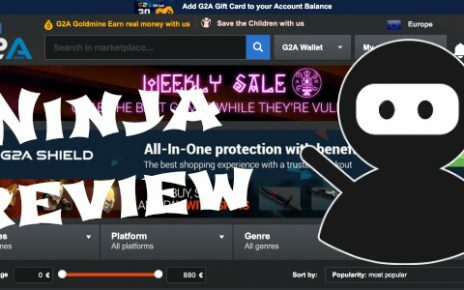 ), Pocari Sweat, Huya.com among others. Albeit not in the same level of exposure and fan base as Faker, KT also has some star guys in their roster, mainly Deft, who is considered by many the best AD Carry in the world. Hope you enjoyed the article and were able to learn a thing or two that you might not have known beforehand! Stay tuned for more pieces to come. Good luck! 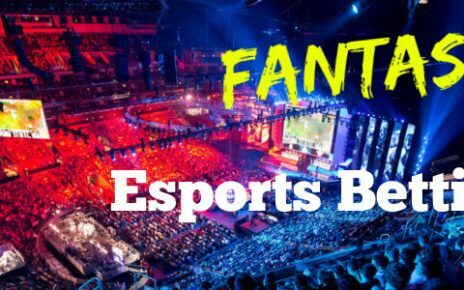 Fantasy Esports Betting: How It Works? Where to Bet? 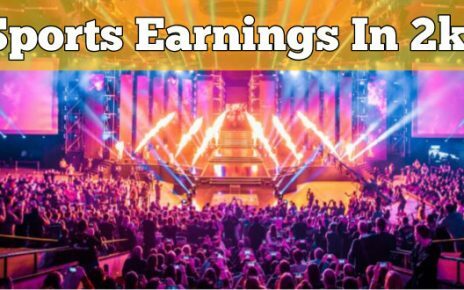 Esports Winnings 2018 Recap – Who Earned the Most in 2018? Starcraft 2 Pro-Gamers – How Much Do They Earn? How to Place League of Legends Bets with Bitcoin?